Midland Lead Australia supplies a diverse range of lead sheeting and radiation shielding products – Lead Lined Door, Lead Glass and lead Lined Plasterboards to the Australian market. We are a family firm at heart and we take great pride in serving our customers. Midland Lead Pty Ltd, is Australia’s leading radiation shielding lead sheet and products supplier to the construction industry. Lead sheet is predominately used as a weatherproofing material in the construction industry due to lead’s high resistance to corrosion, durability, and long lifespan. 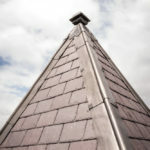 Our lead sheet is suitable for all building applications, including flat and pitched roofing, flashings, gutters, parapets and all other lead detail work. With over 30 years in business, Midland Lead Australia has been working closely with builders, project manager, architects, and roofing contractors to supply radiation shielding lead products across NSW, VIC, SA and QLD. Today, lead’s appeal to architects, engineers and builders for roofing, flashing arises greatly due to its great durability, ease of installation and it does not cause discoloration or stains to the adjacent materials. 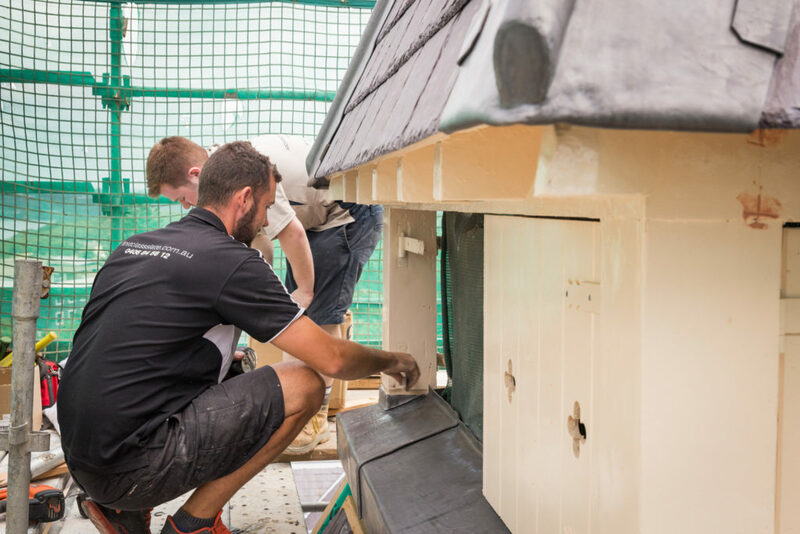 Midland Lead Australia has been engaged in many various prestigious commercial and residential projects across Australia to supply premium grade lead flashings to our valued customers. 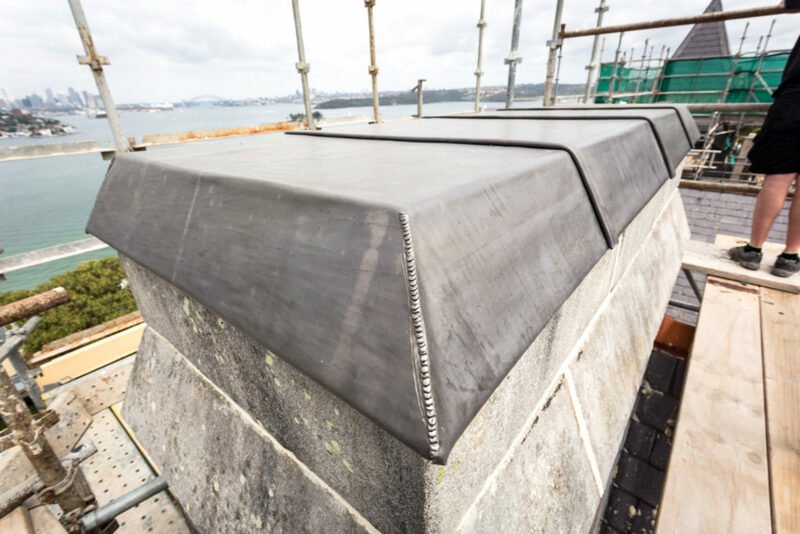 One prominent example of current projects was in association with First Class Slate, to supply 50 machine-cast lead rolls in restoring chimney, walls, and ridge flashings to complete a tendered project at Kincoppal-Rose Bay School. Furthermore, Midland Lead Australia carried another prominent project at the historical QVB building in Sydney to supply lead ancillary products and machine cast lead rolls in CODE 5 and CODE 6 to a specialist roofing contractor in restoring building facades. The project was undertaken to protect the beautiful stone work by installing lead sheet along the building. This QVB project was carried between a period of 2009 – 2013. As we’ve grown, we’ve expanded our offering for radiation shielding lead products to fit our clients’ requirements. Midland Lead Australia supplies 99.9% pure lead and 100% recyclable lead. 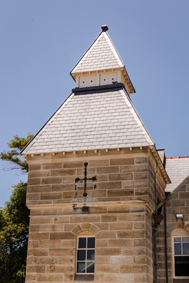 Midland Lead Australia supplies a wide variety of lead products to Australia’s building and construction industries and heritage roofing market. Midland Lead Australia currently specialises in supplying two grades of premium lead rolls. Midland Lead Australia supplies machine cast lead and is available in thickness codes 1 (0.44mm) to 8 (3.55mm). The most common lengths we supply in machine cast lead sheet are 3m and 6m, with requests for widths ranging from 150mm to 1400mm. Furthermore, we also supply radiation lead in thickness codes 1 (0.44mm) to 8 (3.65mm). The most common length and width we supply for radiation lead are 1220mm x 2400mm and 1220 x 2100mm, with requests for lead thickness ranging from code 1 (0.44mm) to code 5 (2.2mm). Midland Lead Australia can produce special sizes of lead sheet upon request – ideal for bespoke buildings, soundproofing or radiation shielding. Although Midland Lead Australia’s core product is lead flashing and radiation shielding products, we also offer a full range of ancillary products to the building industry to enable our lead to be used to its best advantage. Midland Lead Australia supplies ancillary products which can assist you in getting the most out of your lead project. 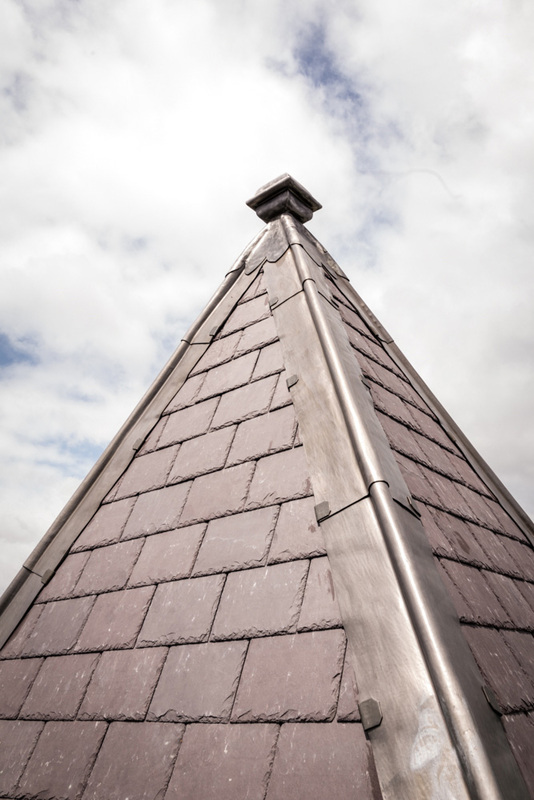 Although lead is extremely durable, malleable, and easy to work with, preparation, maintenance and using the right tools will ensure that the finished product will be admired for years to come. And if you want to add the right finishing touches, we provide patination oil which helps lead flashings to retain its enduring good looks for many years. Working with the correct tools and applying the right finishing touches to a lead-working project make all the difference. We strongly recommend the use of the ancillaries listed. Why lead is material of choice in the construction industry? Density: The high density of lead is very effective in shielding against Gamma and X-Ray radiation. Durable: Lead flashings rolls are a highly durable product performing for up to 100 years or more in roofing applications. It consistently outperforms man-made roofing and cladding solutions. 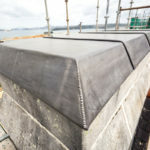 Continuity: A lead flashing roll used for roofing and cladding has a successful background of 1000 of years under all sorts of climatic conditions. 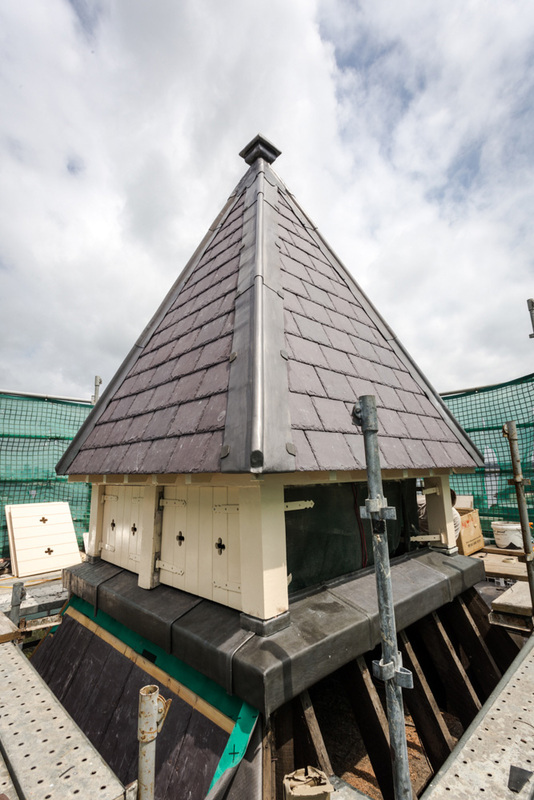 Today, lead has not been taken by any new products and we still use it to restore and retain traditional heritage buildings. Environmental credentials: At Midland Lead, we manufacture 99.9 % pure lead, is 100% recyclable material and retains its original qualities when reused. Thus, it is considered one of the greenest building products available with a significantly lower carbon footprint than many alternatives. Long life span: A lead sheet last three times longer than manmade materials and makes it a good insulation product. Weatherproof: Lead provides an impressive barrier. Easy to use: Because lead is malleable, lead can be rolled to almost any desired lead thickness to serve construction industry. Lead is a prefabricated material; site work can be carried out without causing delay to contractors. Your requirements: At Midland Lead Australia, we ensure to work closely with you to meet required specifications of your project. Midland Lead Australia can deliver, arrange a courier, or alternately we will work with your courier provider to arrange delivery. For further information on the many radiation shielding solutions we have available please contact us today for a quotation. 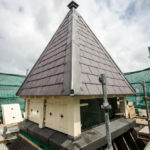 Commercial Project to supply lead flashings rolls to First Class Slate. At Midland Lead Australia, we are proud of providing high quality customer service, premium grade radiation products and lead flashings. Midland Lead Australia has been engaged in many various prestigious commercial and residential building projects across Australia to supply premium grade lead flashings rolls to our valued customers. Contact us to discuss your requirements. Call 02 8071 8166 or click here.